1 How casinos cheat at blackjack? How casinos cheat at blackjack? Although it doesn’t involve all casinos, cheating players at Blackjack games does happen at some of the most prestigious casinos. Some cheating methods are extremely unfair to players, yet they’re not exactly punishable by law. However, a lot of these cheating techniques can actually get a casino’s gambling license revoked. When around 50-60% of the deck has been used, it’s usually around that time when the dealer re-shuffles the card. However, if the dealer notices that a player is winning too much, he’ll reshuffle the deck of cards on the spot. 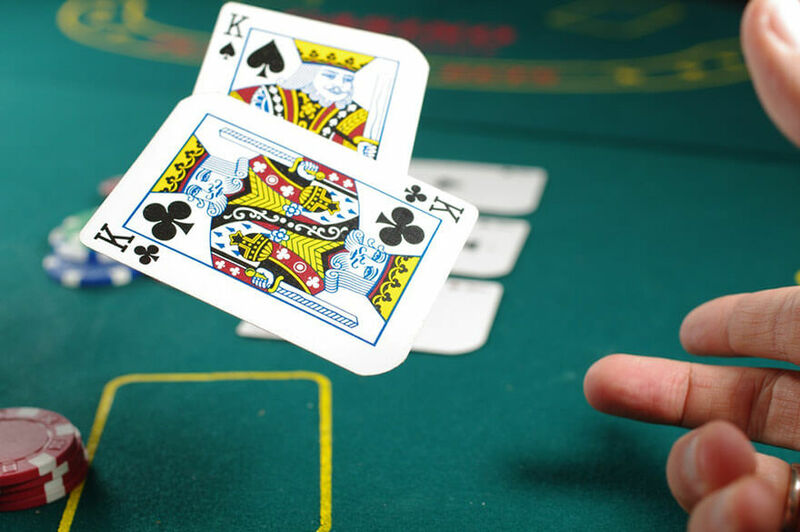 In extreme cases, the dealer will reshuffle the cards after around 2-3 hands only. Customers have every right to complain if they see a dealer doing this since it messes up the house edge. This method is being used when a dealer shuffles faster than usual. If a dealer works fast in handling the deck of cards, the players will find it hard to follow along. This practice also increases the casino’s house edge. When a dealer at a table seems to be working extremely fast, it’s best to avoid playing at that particular table. A dealer will go unnoticed in placing a bust card on one of the players’ deck of cards. Instead of giving the player the card at the top of the deck, the dealer will use his quick hands to give him a bust card. Dealers will usually look for players who had too many to drink so they won’t notice what the dealer’s about to do. This is one of the worst cheating methods at Blackjack. Dealers will pull out all the important cards from the deck like a ten, jack, queen, and king. The chances of a player winning big is very low once the casino has resorted to this low move. This method goes unnoticed by players, especially if the dealer only removes one or two important cards. This form of cheating uses psychological and subconscious methods to trick players into spending more money. One popular trick is to give out free alcoholic drinks so players will get tipsy and easy to cheat at a Blackjack game. Offering few low stakes tables also encourage players to participate in mid to high stake games of Blackjack. This method is rarely used since it’s usually prohibited or at least regulated in most casinos. The dealer will use his quick hands to replace a low hole card with a high hole card. This method is very rare since it can be easily exposed when the wrong player has been cheated on. The dealer will give the wrong change to the player. The dealer could also give a player with a winning bet insufficient amounts of the prize. This form of cheating usually targets players who are not attentive and can easily be distracted. This cheating method refers to putting subtle marks on high-valued cards in the form of dimpling. This is hard to identify and discover since only the dealer pays close attention to the cards. To prevent this from happening, players must always check the cards for suspicious marks. Holdout shoes are well-known in the casino industry. Holdout shoes refer to a type of shoe that resembles the usual dealer shoes. This cheating device has a mirror which lets the dealer get a glimpse of the card that’s on the top of the deck. Other cheating devices are also used by dealers at Blackjack games. If a casino gets caught allowing its dealers to use these cheating devices, it will automatically lose its gambling license.